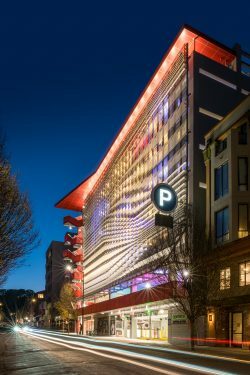 The Center Street Parking Garage, located in Berkeley, California, was recently featured in the March 2019 issue of Architectural Record. The article, entitled “Innovations in Parking Garages,” discusses new technologies, sustainability in parking, and creative concepts such as adaptability and future-proofing. Click here to read the article.